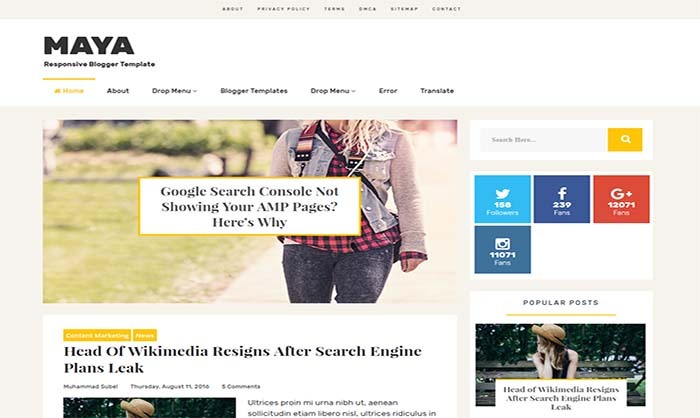 Maya Blogger Template is totally Search engine optimized and pure responsive theme for blogspot platform. This is minimalist and creative template with lots of features. You can change template fonts and colors with one click from Blogger dashboard. If you’re running a blog with blogspot, then Maya will be perfect template for your blog. This is high quality and professional blogger template for blog. Get this awesome template for free with some features.